In wanting to set up Windows 10 and check out the new Microsoft Edge browser, I decided to use VMWare Player. I’m a bit more experienced with Hyper-V, and so figured it would only be a benefit to expand my horizons a bit and go non-MS on the virtualization side. Initial installation was pretty easy: I downloaded the Windows 10 x64 ISO, downloaded VMWare Player, and began installing the player. Adding a new virtual machine was pretty easy: select the option to select an Installer disc image file (iso), put in the license key provided on the ISO download page, and then name the vm and give it some hard drive space. I ran into an issue where it was throwing an error saying Windows couldn’t read the unattend file for the license key. I figured out this was due to VMWare loading up a floppy drive by default (we’re in 2015, right ;)). Going to Player -> Removable Devices -> Floppy -> Disconnect resolves that little issue. Rebooting and trying again enabled me to continue with Windows initial setup, which was a Next -> Next -> Finish type of affair (YMMV). I noticed once Windows booted that the screen resolution was extremely small. The viewing area was a little smaller than the size of two decks of playing cards side by side on my Surface Pro 3. 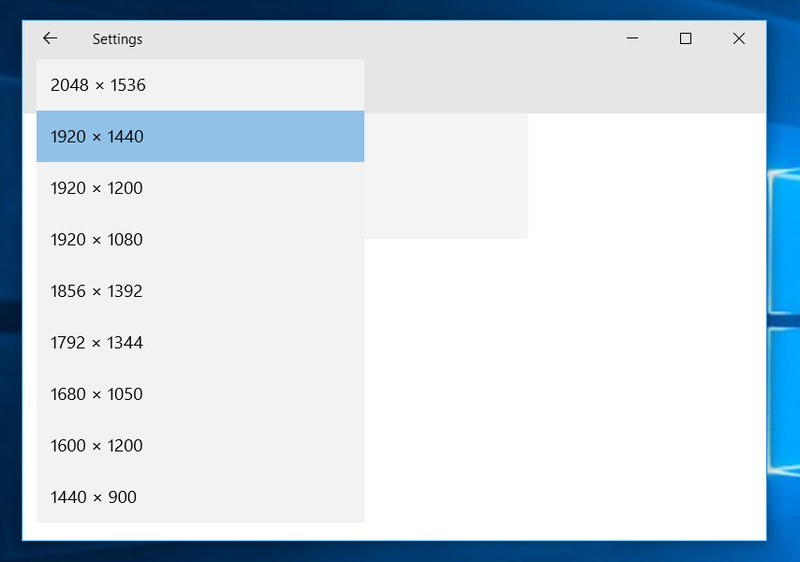 Going into the resolution settings in Windows 10 didn’t help, as it was already maxed out at 1024×768. After some digging, I found that VMWare player passes the available resolutions through its VMWare Tools plugin. It seems the Windows 10 version of this plugin is very basic.